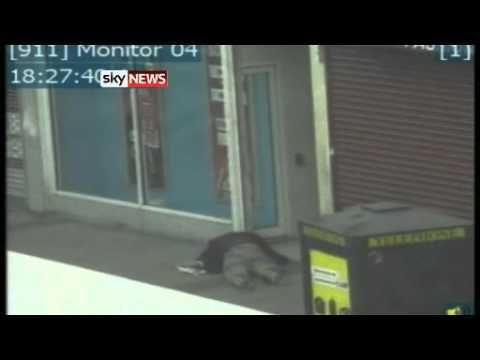 CCTV pictures have been released of a pensioner being knocked unconcious during the London riots. The 69-year-old man was grabbed, pushed and then punched in an unprovoked attack in Enfield on the 8th of August. The group then walked over him as they left. He was taken to hospital suffering cuts.